There are two situations where you may find yourself removing old wax from hardwood floors. In either situation it is important to proceed cautiously so as not to damage the wood. The first situation is cleaning up wax drips from candles. If you are removing just a small amount of wax from a burning candle, you might be able to melt the wax with a hair dryer and then simply wipe it up with a cloth. Apply a few drops of vinegar to the spot where the wax was and it will remove any residual wax. That's it. The wax should be gone. Another way to remove candle wax is to fill a plastic sandwich bag with ice and place it on top of the wax. Keep it there until the wax is hardened and then scrape the wax off the floor with something that won't scratch the floor. After you are done, clean the area with vinegar and water to remove any remaining residue. The second type of wax removal involves bigger surface areas and residual wax left over from previous floor cleanings or old carpet backs. To determine if you have wax residual on your hardwood floor, take a piece of extra fine steel wool and dampen it with water. Rub it gently on the floor in several different areas. The wax will show up in the steel wool as a smudge. Once you've confirmed that you have wax buildup on your floor, it's time to learn how to remove it. The first step is to choose a stripping agent free from harsh, toxic chemicals. Luckily, products on the market today are made with environmentally-sensitive chemicals that emit very low VOCs or volatile organic compounds. Look for products that are GreenGuard certified. GreenGuard is a third party certification program for low emitting chemicals. Bona offers a GreenGuard certified product. Read the information on the product packaging carefully. 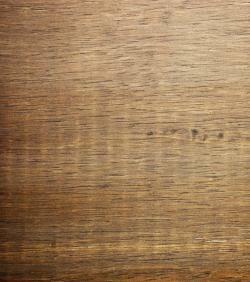 You need to be sure the product can be used on wood versus vinyl or linoleum. You also need to beware of any precautions or potential hazards. Once you've purchased your wax stripper, you will want to rent an electric floor scrubber from a local hardware store or flooring dealer. The floor scrubber will both strip the wax and clean the residue. Gather all the necessary equipment before you start, including rubber gloves, a soft mop, a squeegee and a bucket. Next, remove furniture and rugs from the room and vacuum the floor to pick up dust and dirt. Ventilate the room with a fan or by opening windows and doors. Then try the stripping agent on a small area of the floor, preferably an area that is usually covered by furniture. You want to make sure the stripper won't damage your floor before you apply it to the entire floor. Once you are confident you have the appropriate product, start working from an interior corner of the room toward the door. Follow the manufacturer's instructions carefully. Most likely they will recommend that you dilute the stripper with water in a bucket before you apply it. Most products are applied with a mop. Once the stripper has settled, you will use the electric scrubber to scrape off the wax. Use a squeegee to clean up any residue. Again, it is important to follow manufacturer's guidelines found on the product packaging. Instructions may vary from product to product.